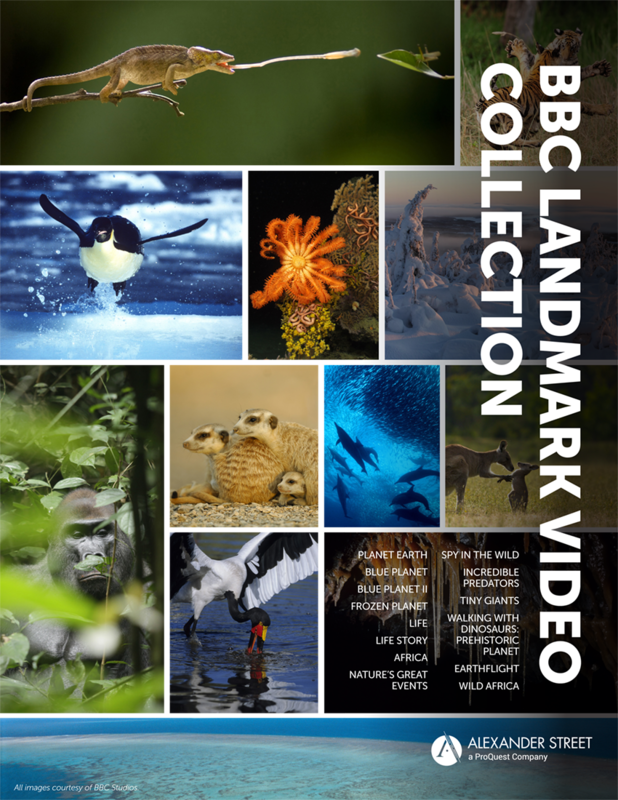 From the depths of the oceans to the Antarctic ice cap, from a firsthand view of evolution in animals and plants to Cretaceous Alaska and far-flung corners of the globe, the BBC Landmark Video Collection is your groundbreaking exclusive HD view into our natural world. 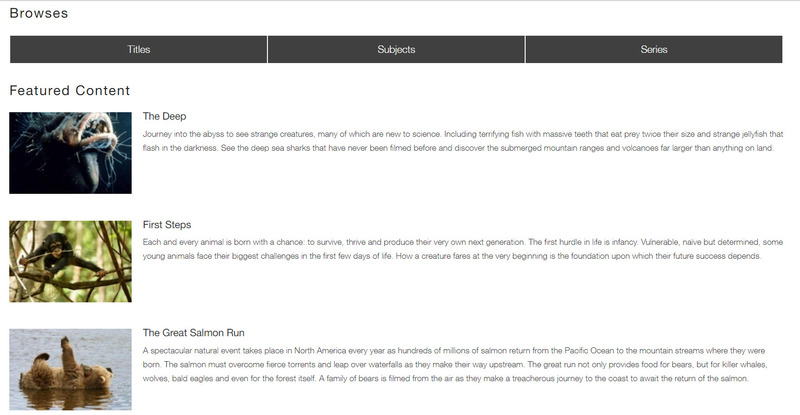 Through access to cutting-edge series like Planet Earth and Blue Planet, your classrooms and students can now experience breathtaking natural events like never before. The BBC Landmark Video Collection supports courses in Science, Natural History, Geology, Geography, Earth Science, Climate Science, Environmental Science, Biology and more.